Permanent Vehicle Wash Pads from Morclean are CE marked and satisfy current legislation for the containment and disposal of water, but also eradicates the need for any excavation or below ground installations; which can be costly, time consuming and sometimes impossible! 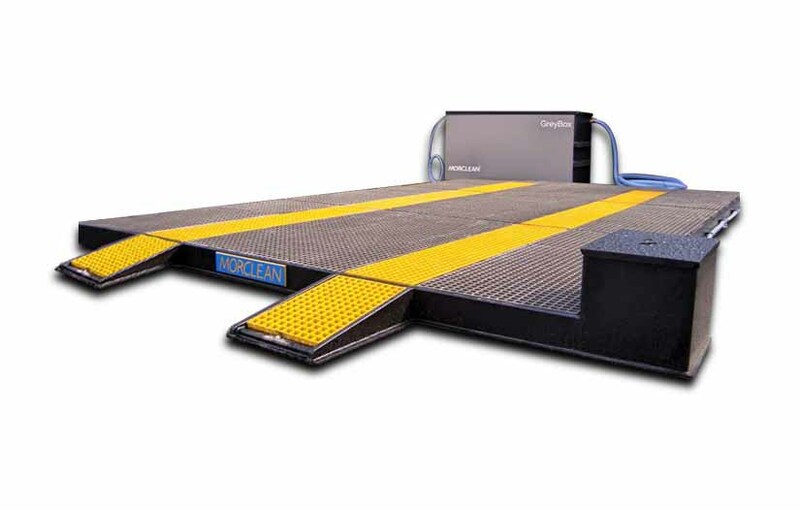 The Permanent Vehicle Wash Pads are typically used in heavy duty environments for longer periods, or where there is a need to wash higher volumes of vehicles. This is ideal for leasehold or sensitive sites such as a multi storey car park where ground works are not practical. The Permanent Vehicle Wash Pads avoid excavation and civil works, meaning virtually zero disturbance to the ground. Our experienced team can generally install a wash pad within hours, with minimal fuss or inconvenience. The Wash Pad captures all the water into a drain and a surface mounted sump pump which can be discharged to foul, partially treated via a Morclean BlueBox or GreyBox, or pumped to a water reclaim system. This innovative product can also be used in conjunction with the Morclean Pump Station which is a surface mounted device housed in a kiosk that collects water from the outlet of the wash pad and then pumps it to the drain. How it works is the Permanent Vehicle Wash Pad captures all the water into a drain and a surface mounted sump pump which can be discharged to foul, partially treated via a Morclean BlueBox or GreyBox, or pumped to a water reclaim system. Supplied with a drain to one end of the pad as standard or can be supplied as a complete water tight retainer. Permanent Vehicle Wash Pads are available in 5x3M and 6x4M as standard, however Morclean offer a bespoke design and build option, to have your Wash Pad created to your exact requirements. The Wash Pad comes as standard in black and yellow however other colours may be available, please ask one of our experienced sales team at the point of order. 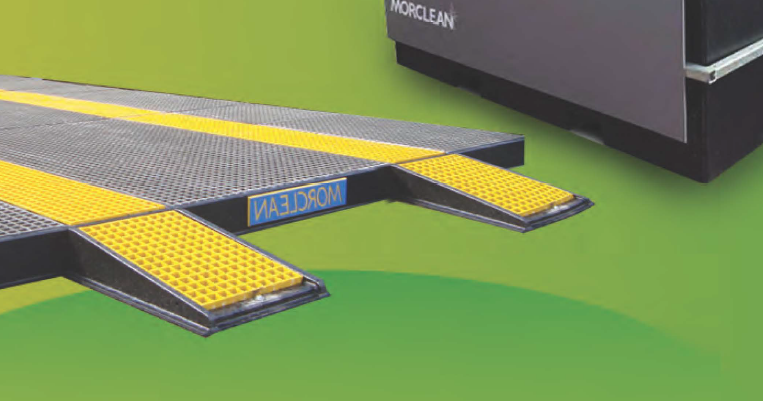 The rigid permanent mat is positioned after delivery and installed with suitable fast fix bolts to fix to the floor (Morclean provide delivery installation and transportation using their internal transport). If using a drain and pump the site does not require any excavation and Morclean can supply all items to be surface mounted. Then simply drive the vehicle on to the wash pad and you have a fully fitted wash pad at a fraction of the cost, disturbance and time. We can design and manufacture to any practical size. The wash platform will not be damaged by the weight of the vehicle it is designed for. This is a tested product, and has taken several years to develop. Although innovative and easy to operate the wash pads are more than just a simple construction. All wash pads have to be fully tested and we guarantee water tightness of the floor. All welded joints and connections are vacuum tested and inspected during a quality procedure. Every wash pad is given a unique registration number to ensure identification of all the products used during construction.